John Edward James is an Iraq War Veteran, businessman, and former Republican United States Senate candidate from Michigan. James became a rising star in the Republican Party after defeating Sandy Pensler, another Michigan businessman, in the 2018 Michigan GOP Senate primary. James went on to challenge Democratic incumbent Debbie Stabenow in a closely watched election, but ultimately lost to Stabenow by 8.3 points on election night. James was endorsed by President Donald Trump and despite his electoral defeat continues to be seen as having a promising future in politics. It was reported that President Trump met with James in early 2019 to discuss the possibility of appointing the Michigan businessman as U.S. Ambassador to the United Nations, but the White House eventually chose U.S. Ambassador to Canada, Kelly Craft for the position. James grew up in Detroit, his parents having migrated north to Michigan to escape the oppressive Jim Crow south. His father was a businessman who founded James Group International, a supply chain management company. James attended Brother Rice High school, a Roman Catholic all boys’ school and upon graduating, was accepted into the U.S. Military Academy at West Point where he graduated with a Bachelors of the Sciences in 2006. Starting in 2006, James served eight years in the Army as a Ranger Qualified Aviation Officer where he led two platoons of Apache attack helicopters. Post military service, James earned a Master’s Degree in Supply Chain Management from Pennsylvania State University and a Master’s in Business Administration from the University of Michigan. James joined his father’s company as a partner, greatly expanding the size and revenue of the business. James (the junior) now serves as president of James Group International. He also serves on a variety of boards including the Detroit Workforce Development Board, National Veteran Business Development Council, and Michigan Minority Supplier Development Council. At the age of 37, James entered the political arena challenging Sandy Pensler, a well-established financial advisor with a better funded campaign, for the Michigan GOP primary nomination in the 2018 Senate midterm election. Despite being an outsider, James garnered the endorsement of President Trump during the primary, and won the primary with 54.7% of the vote. Despite losing to Democratic incumbent Debbie Stabenow in the general election, James had a strong showing in what is generally viewed as a purple-blue state. James ran on a platform that prioritized three issues foremost: job creation and economic growth, increased care for veterans, and investment in infrastructure. On trade, a core issue for Michigan voters, James differed from Stabenow as he was critical of NAFTA and supportive of President Trump’s attempts to renegotiate trade deals. James was also more conservative than Stabenow on social issues such as abortion and marijuana decriminalization. James lives in the metro Detroit area and is married to Elizabeth James. They have two children and a third on the way. James has not made public any further plans in regards to future political endeavors. Jeffrey McKinney, “Is This BE 100s Executive Michigan’s Next Republican Senator?” Black Enterprise, June 7, 2017. https://www.blackenterprise.com/be-100s-executive-michigans-next-republican-senator/; “John James (Michigan).” Ballotpedia. https://ballotpedia.org/John_James_(Michigan). “Michigan Senate - James vs. Stabenow,” Real Clear Politics. https://www.realclearpolitics.com/epolls/2018/senate/mi/michigan_senate_james_vs_stabenow-6325.html; Lauren Gibbons, “Michigan Republicans hopeful in John James' political future after U.S. Senate loss.” Michigan Live, December 1, 2018; https://www.mlive.com/news/2018/12/john_james_political_future.html; Jeff Payne, “ELECTION 2018: John James Q&A,” The Oakland Press, November 4, 2018, https://www.theoaklandpress.com/news/elections/election-john-james-q-a/article_7ec841c0-dbb9-11e8-8fb6-f3d5161313fc.html; Jeremy Peters, “John James, Black and Republican, Thinks He Can Crack the ‘Blue Wall’ in Michigan,” The New York Times, August 3, 2018. https://www.nytimes.com/2018/08/03/us/politics/john-james-michigan.html; “On the issues – candidates for U.S. Senator.” Lansing State Journal, October 18, 2018. https://www.lansingstatejournal.com/story/news/local/2018/10/18/us-senate-race-debbie-stabenow-john-james/1499795002/. 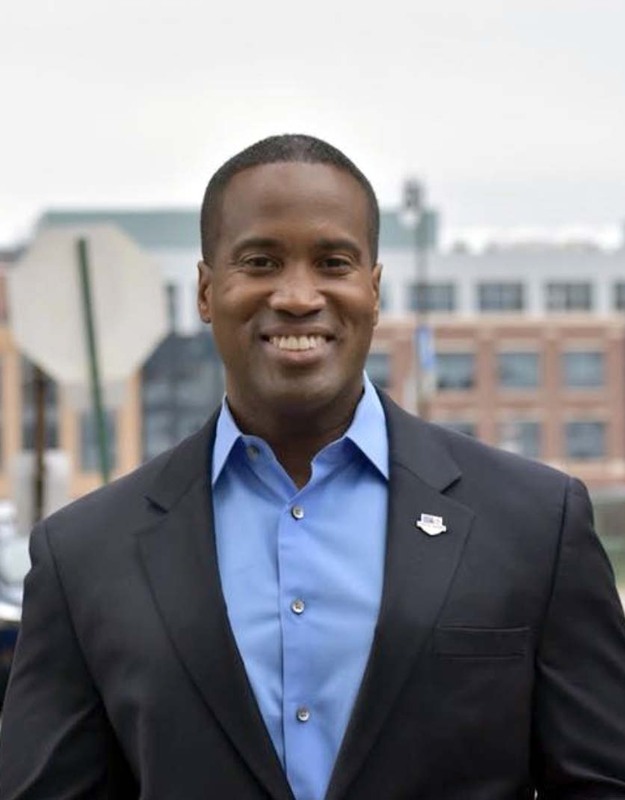 Jeffrey McKinney, “Is This BE 100s Executive Michigan’s Next Republican Senator?” Black Enterprise, June 7, 2017. https://www.blackenterprise.com/be-100s-executive-michigans-next-republican-senator/; “John James (Michigan).” Ballotpedia. https://ballotpedia.org/John_James_(Michigan). “Michigan Senate – James vs. Stabenow,” Real Clear Politics. https://www.realclearpolitics.com/epolls/2018/senate/mi/michigan_senate_james_vs_stabenow-6325.html; Lauren Gibbons, “Michigan Republicans hopeful in John James’ political future after U.S. Senate loss.” Michigan Live, December 1, 2018; https://www.mlive.com/news/2018/12/john_james_political_future.html; Jeff Payne, “ELECTION 2018: John James Q&A,” The Oakland Press, November 4, 2018, https://www.theoaklandpress.com/news/elections/election-john-james-q-a/article_7ec841c0-dbb9-11e8-8fb6-f3d5161313fc.html; Jeremy Peters, “John James, Black and Republican, Thinks He Can Crack the ‘Blue Wall’ in Michigan,” The New York Times, August 3, 2018. https://www.nytimes.com/2018/08/03/us/politics/john-james-michigan.html; “On the issues – candidates for U.S. Senator.” Lansing State Journal, October 18, 2018. https://www.lansingstatejournal.com/story/news/local/2018/10/18/us-senate-race-debbie-stabenow-john-james/1499795002/.